One of the challenges in the manufacturing of automobiles, aircraft, boats and electronics is coming up with just the right material. 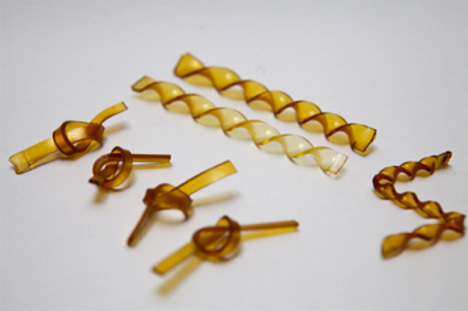 Resins are a common material in all of these products, but they have their limitations. Namely, they can’t be reshaped once they are initially shaped and cured. 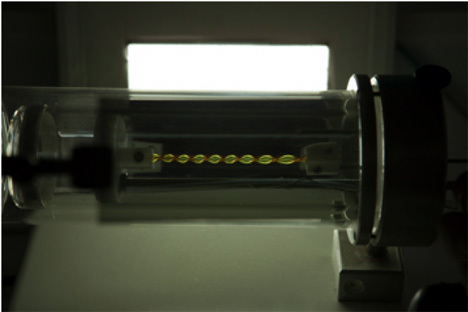 A brand new material created by a team from France’s National Center of Scientific Research (CNRS) is set to break down those barriers by combining the best qualities of resins and glass in a revolutionary way. Glass is prized for its ability to be easily shaped, reshaped and repaired. But glass is heavy and brittle, making it impractical for a wide spectrum of applications. Resins are lightweight, resilient and strong, but once cured into their desired shape can’t be repaired or reshaped. 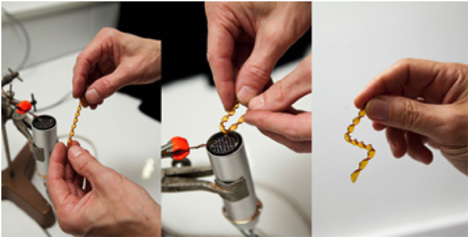 The compounds from the CNRS lab keep all of the best qualities of resins but can also be melted and reshaped almost endlessly with no weakening of the hardened state. Because they can be easily shaped when heated, the materials can be contorted into the types of shapes that resins never could – shapes that are too complex for the molds needed for resins. The new materials are made of ingredients that are already widely used in the manufacturing industry. Small tweaks in the formula allow the room temperature state to range from rigid to elastic, making possible a huge range of applications. The strength, lightness and infinite re-usability of the materials make them viable contenders against metals and traditional resins in a staggering number of industries. See more in New Materials or under Science. November, 2011.